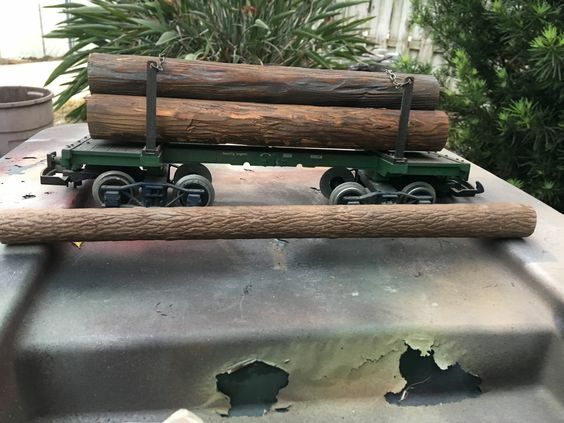 Here is the first log i'm attempting to make for my pulpwood car . 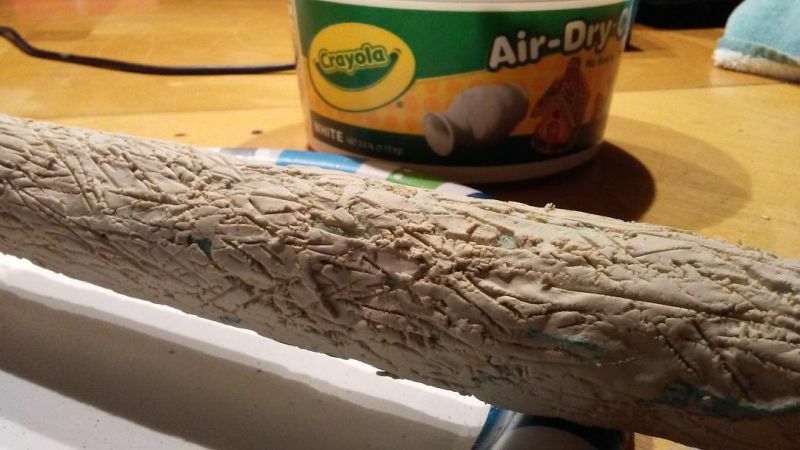 The core is made from blue foam board covered with a thin layer of Crayola Air Dry Clay. After I got the clay on the whole piece I used a toothpick to scribe lines in all direction to simulate the bark texture. This one is an experiment to see if all this effort is worth it. I have to make a lot of trees . I use the blue or pink extruded foam. Home Depot or Lowes. The green stuff is not very good for this. OK, thanks. I was thinking you were maybe using the high-density stuff, which is hard to get. So I'm glad to see you're getting such great results with the regular stuff. He has them on his website available. Sweet. Landrel, what kind of foam is that, and where'd ya get it? 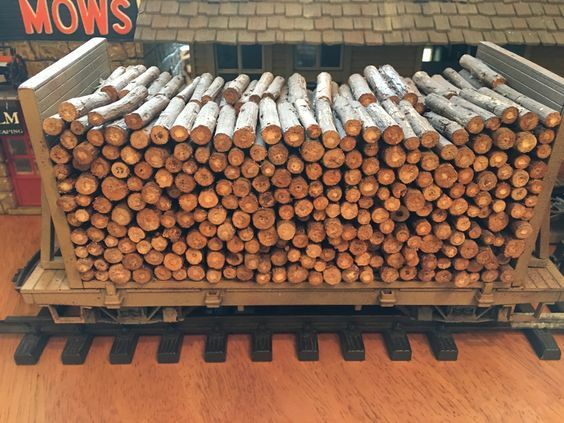 The logs are made from extruded foam. I hand sand them to shape ..No lathe. I have been making these for about 3 years and the more I do the better i feel they are. Here is a video if my first set . I was still working out the technique of making them . Before these I was pulling around about 20 lbs of real logs.. Your timing is perfect Landrel as i'm looking at making some logs for a car i'm building. Those are beauts Landrel! Excellent bark carving and painting job. 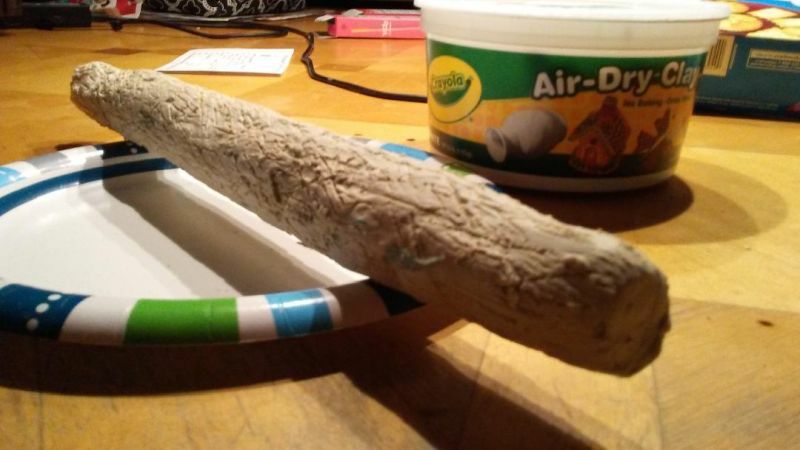 What kind of foam are you using? And did it come in rounds, or did you have to turn each piece on a lathe, or...? There's an artist at work here. Excellent looking jobs!